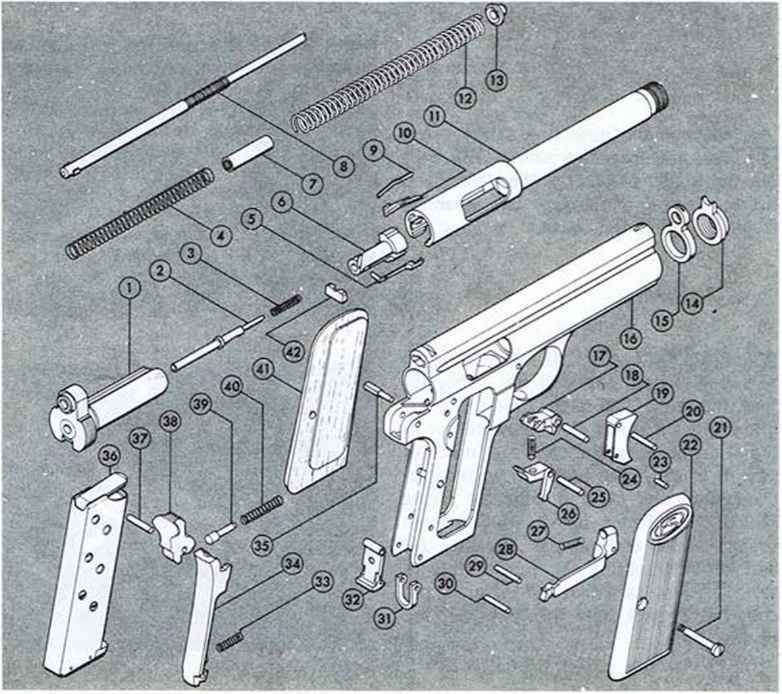 The long-recoil system of the Frommer is rather complex. During firing, the bolt mechanism and barrel are locked together and recoil as a unit. This compresses the recoil spring and bolt return spring above the barrel. At the end of recoil, the bolt is held to the rear by a catch. The barrel then unlocks from the bolt and is driven forward by the recoil spring. As the barrel nears its front position, the bolt is released and is pushed forward by the bolt return spring. 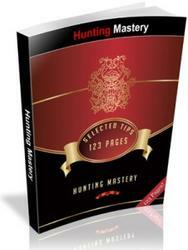 An advantage of this system is that the barrel mass is used to help resist the recoil impulse. 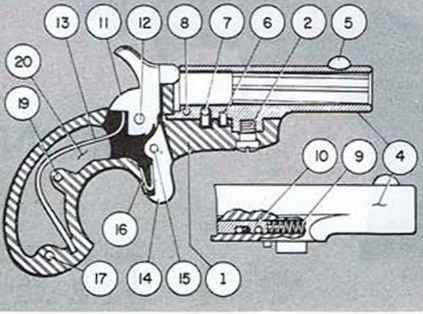 On the other hand, this system is needlessly complicated for a pistol firing cartridges of the .32 Automatic and .380 Automatic class. A simple blowback system would have sufficed. The magazine is retained in the pistol by a magazine catch on the lower rear of the handle. Magazine capacity in .32 caliber is seven rounds. The small external hammer has a rounded spur, and the only safety is the grip safety projecting from the rear of the handle. Workmanship and finish of this 21-oz. pistol are generally excellent, although the serrated wood grips are rather crudely finished. Grip and balance are very good. Although complicated, this pistol functions quite well. There is also a small version of the long-recoil Frommer pistol called the Frommer Baby. It is mechanically similar to the Stop model. Both the Stop and Baby models gave way in the 1920's to a Frommer-designed pistol based on the Browning blowback system. How to dissassemble the frommer stop pistol?